We are surrounded by technology at work, in our cars, and just about every aspect of our lives, including the kitchen. Many of our clients want to take advantage of technological advancements explicitly developed for the kitchen as part of their remodel. We see personal home assistants and dedicated kitchen tablets trending upward in this arena. 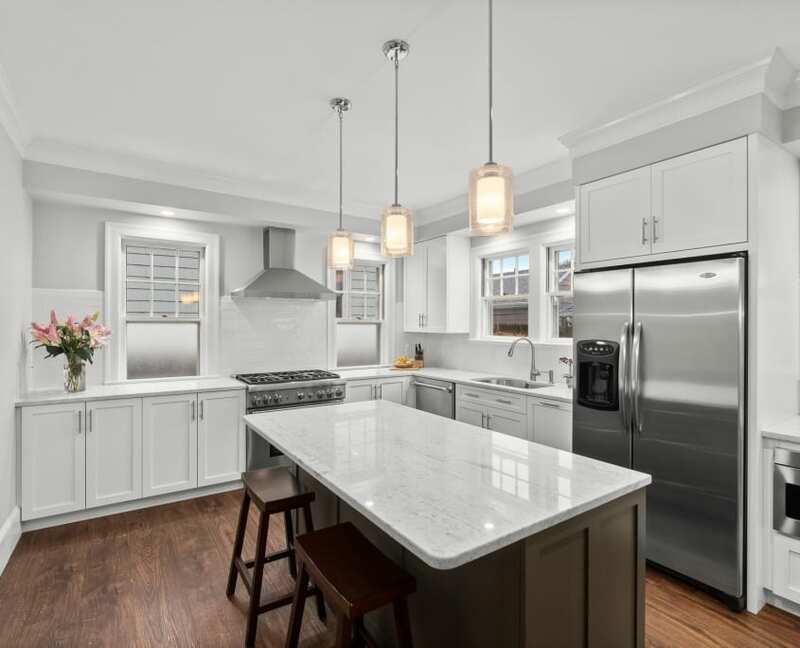 According to the 2019 Houzz Kitchen Trends Study, 11 percent of homeowners are upgrading electronics as part of their kitchen remodel. The percentage of homeowners incorporating a personal home assistant such as Google Home or Amazon’s Alexa increased from 23 percent to 31 percent from 2017 to 2018. Dedicated kitchen tablets rose to 17 percent from 11 percent during the same period. However, the most popular electronic upgrade for kitchens remains the television. Sixty percent of remodels included a TV in their new kitchens. 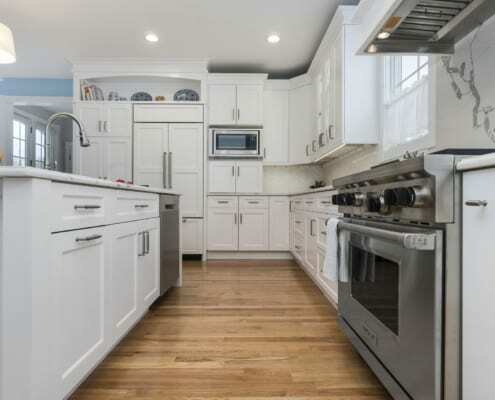 Nearly half of kitchen remodels featured a docking or charging station. Manufacturers have upped their game when it comes to charging stations, incorporating them into drawers, in electrical switch plates and popping up from countertops. The ability to charge smartphones and tablets within a drawer helps to avoid countertop clutter and maintain clean lines. Wireless or Bluetooth speakers were specified for 29 percent of new kitchens, according to the Houzz survey. That percentage actually decreased from the year before at 38 percent. Kitchen faucets also are becoming technologically more sophisticated with features such as hands-free and touch operation, improved water efficiency, water filtration capability, Bluetooth applications and no-fingerprint finishes. Refrigerators, ranges, cooktops, ovens and dishwashers are offering technological conveniences ranging from the ability to order groceries via Alexa and other personal assistants to blue tooth connectivity that allows homeowners to preheat an oven on their commute home via their smartphone. The Houzz survey found that 16 percent of homeowners upgraded appliances as part of their kitchen remodel and 11 percent picked appliances with color touchscreen displays. These displays offer a mind-boggling array of features. You can watch videos on YouTube, make video calls and use the touchscreen to control smart home devices through voice activation or touch screen and even search local restaurants. You can play music or watch a video while you cook and Google will save your place so you can check the recipe at any time. There are even displays that show you how to divide cakes into perfect portions for slicing. 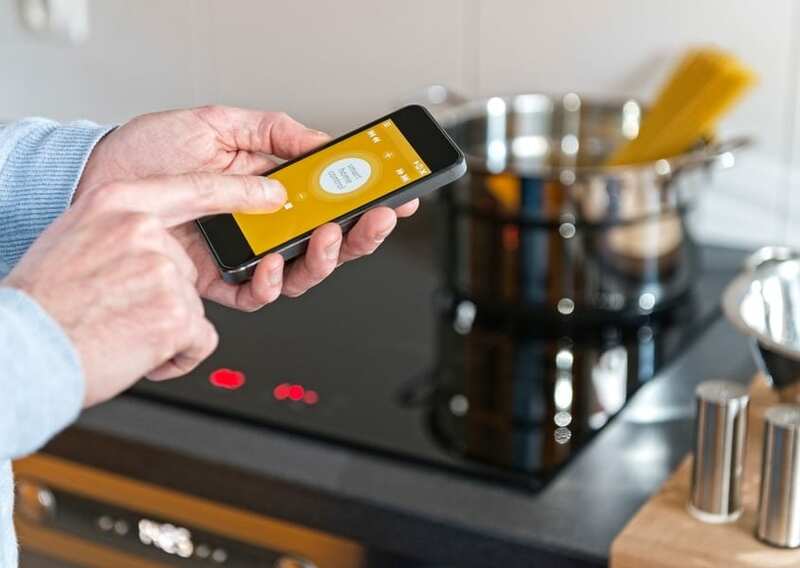 What’s the right technology for your new kitchen? Give us a call at 401-463-1550 or visit our showroom at 139 Jefferson Boulevard, Warwick, RI to determine how you can use emerging technology in your new kitchen to make your life easier, less stressful and more enjoyable. Your kitchen is the soul of your home; a space for gathering, doing homework or simply spending time with your family. Therefore, careful planning is required to ensure your new kitchen will be both beautiful and highly functional. From creating an efficient workspace, to maximizing storage, selecting the right countertop, and more, learn how simple changes can make a big (and unexpected) impact! Bring your questions and be prepared to be inspired. Hosted by our award-winning designers this seminar is a “must-attend” for anyone considering a remodel! A light brunch will be served immediately following the event. This event is complimentary; however, we will be accepting food donations for the Rhode Island Community Food Bank. Pre-registration is required as space is limited.